Electric bike maker E-LUX is based in Costa Mesa, California. An electric bike company who makes affordable electric beach cruisers putting a dent into Pedego's dominance.  Bike Attack Electric in Santa Monica is offering the electric beach cruiser The Newport and The Tahoe, electric fat bikes, electric city bikes The Monaco and electric folding bike The Sierra for the beach community in Los Angeles and online.